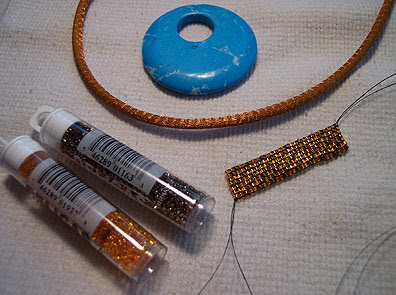 Basic directions for square stitch can be found at many online sites. 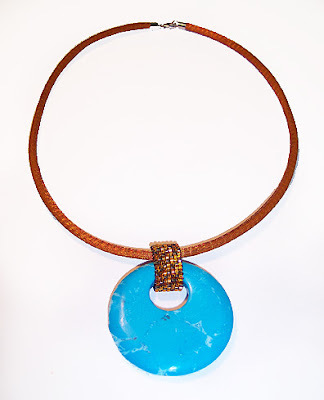 1 Using a mixture of bead colors, square stitch a small band that is long enough to wrap through the donut hole and around the mesh wire necklace, with just enough slack to keep it from rubbing or binding. 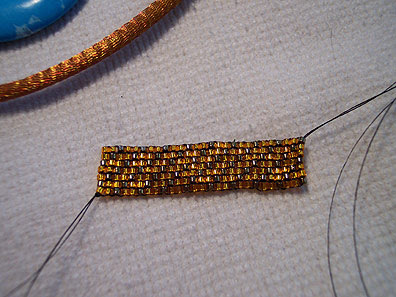 2 Continue following the square stitch thread path to attach the ends to each other. 3 Enjoy different color combinations!